Dubai: Nakheel recorded net profit of Dh4.38 billion in 2018, a period in which it has focused heavily on existing projects, both nearing completion and those with a longer timeframe. A year ago, the net profit was Dh5.67 billion. “Nakheel is targeting a substantial increase in annual recurring revenue in the next five years as part of its sustainable growth strategy, with a range of new projects coming on line in the next 18 months to two years that will contribute to the projected increase once fully operational,” the developer said in a statement. This includes the flagship Nakheel Mall and The Palm Tower on the Palm Jumeirah; the Night Market at Deira Islands; and 1,500-villas at Nad Al Sheba, among others. “Our focus is on sustainable, long term growth by continuing to expand within the retail, hospitality and leasing sectors,” said Ali Rashid Lootah, Chairman. 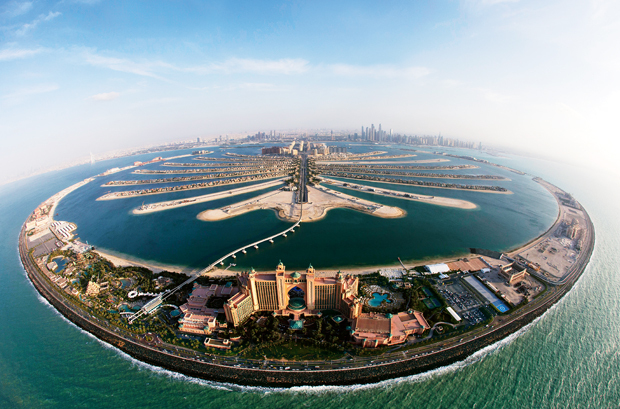 Nakheel’s retail, hospitality and leasing businesses generated revenues of Dh2.5 billion last year. On the residential side, Nakheel handed over 657 land and built units in 2018, taking the total number of deliveries to 13,357 units since 2010. In its residential leasing, it has a current stock of 17,000 homes and more on the way at Nad Al Sheba, Palm Jumeirah and Warsan Village. In the recent past, it launched the Dragon Towers complex at Dragon City, and a new collection of upscale homes at Jumeirah Park in 2018, “with more planned as the market dictates”. Nakheel’s current and future portfolio includes 19 retail developments with a combined 17 million square feet of leasable space; 18 hotels, resorts and serviced apartment complexes with 6,600 keys between them; and 24 clubs and restaurants in Dubai. The company’s operational retail space grew to more than 5 million square feet in 2018. Another 3 million square feet is expected to come on line this year.